Does Crash Bandicoot Belong in the Video Game Canon? Ladies and gentlemen, boys and girls, girls, girls! Hello and welcome to this week’s installment of Now Loading…The Video Game Canon! The only weekly Internet column that takes a look at games and decides whether they should be lauded and studied for all time, or doomed to fade away into obscurity. At least, I’m fairly certain this is the only column with those specific qualities. Time I could have spent researching that was pretty solely funneled into coming up with the series’ title, and I have few regrets. At any rate, this week we will be discussing another classic PlayStation game from the nineties: Crash Bandicoot! Yes, before Naughty Dog became known for anthropomorphizing five o’clock shadow and grit in the form of Nathan Drake from Uncharted and Joel from The Last of Us, they focused all their creative energies into a semi-mute orange marsupial who spins, collects fruit, and continues the proud cartoon character tradition of wearing only one piece of clothing. 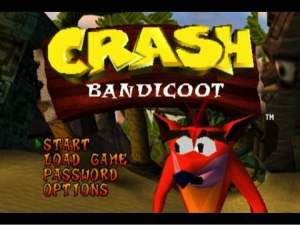 His name is Crash Bandicoot, and today we’ll be looking at the first game in his series. Back in the mid 1990’s, Naughty Dog was little more than a motley crew of game developers with a spring in their collective step and a twinkle in their collective eye. After releasing games like Way of the Warrior to moderate success, they turned their attention to platformers—specifically to the possibility of a 3-D platformer, to be released on the PlayStation. Platformers, for the uninitiated, are games like Super Mario Bros., in which you control a character whose primary action is jumping from platform to platform. What started out as simple game design based on technical limitations soon became a staple of the video game genre, to the point that a myriad of classic and modern games alike take cues from these games where each jump or climb move gets you one step closer to the end of the level. 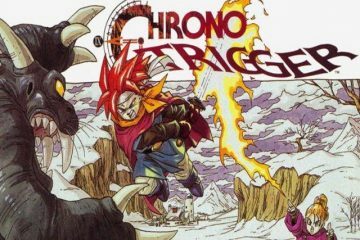 The mid 1990’s were something of a creative wild west when it came to shifting platformers from two to three dimensions, so a number of developers—including Naughty Dog—tried their hand at successfully making that change. After spending a good amount of time developing the game that would become Crash Bandicoot, the wily folks at Naughty Dog cobbled together a two-minute game trailer and snuck it over to Sony Computer Entertainment, where it became an instant hit among executives. They liked it so much, in fact, that Crash was set to become a mascot for Sony and the PlayStation in general. The little bandicoot’s status as company mascot was soon cemented after the first game was released to great success, proving not only that the PlayStation was building an impressive library of games, but also that 3-D platformers would work for Sony just as well as they would for Nintendo. 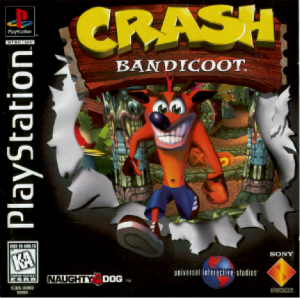 Crash’s star was only just beginning to rise; the Crash Bandicoot series became a flagship for the PlayStation both in North America and Japan. With two sequels developed by Naughty Dog and a slew of sequels that spanned a number of other developers and nearly ten years, there is no doubt that Crash Bandicoot had a significant impact on the PlayStation and video games in general. It allowed Naughty Dog, a developer now heralded as one of the better storytelling companies in the business, to get a strong foothold in the world of gaming, paving its own way to bigger and better successes. 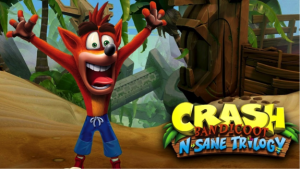 And with the recent release of the N. Sane Trilogy for the PS4 doing so well critically and financially, there is no doubt that nostalgia has carved out a place for Crash and his games to persist in the modern world of gaming. Yet despite its history and impact, does the first Crash Bandicoot game deserve to be inducted into the Video Game Canon? Well, dear reader, being the writer of this column, I have a few select things to say about that. Look at that smug grin. He knows he’s lovable. There’s something beautifully simplistic in the storytelling most platformers have. Essentially, every platformer from Super Mario Brothers to Spyro the Dragon utilizes incredibly basic stories to justify the existence of the game itself. In that way, platformers are really nothing more than your basic, predictable, and satisfying hero’s story, and are therefore easy to defend in terms of how well they engage the player. After all, there is no easier buy-in to a story than making the player an unambiguously good hero whose only motive is to save the day. Crash Bandicoot is no exception to this rule, and it lays out a plot that’s pretty easy for the player to follow. You play as the titular Crash, and are out to rescue your girlfriend Tawna Bandicoot from the evil mad scientist, Neo Cortex. There’s not much more to it than that, and when it comes to a game about a spinning marsupial, can you really justify there being much more? I’m all for complex and interesting storytelling, but when it comes to a bandicoot running through variously themed stages, breaking boxes and flinging comically designed bad guys off the screen, I think “save the girl” is as interesting as it needs to be. It is no wonder that Sony decided on Crash as their mascot, because his character design is incredibly memorable. Character design, especially when creating a corporate mascot, can often make or break a platformer. Because the gameplay is so simple, the character that the player controls needs to stick out in a way that justifies the character’s name being the title of the franchise. Crash’s bright orange color scheme, his overly cartoonish body structure, and his sheepish grin all jump out to the player immediately. There’s a reason why Crash himself comprises more than a third of the game cover’s artwork: it’s because his design is what draws you in and keeps you interested in the first place. It’s simple and fun, and his lovable, goofy personality suits the main character of a platformer very well. Aku-Aku, his shaman mask sidekick, is also an interesting character and a fun way to add a health mechanic to the game. One staple of platformers is that you often have a life system in which each attempt at completing a level costs one life. If you die, you pay the cost and need to try again with another life. However, platformers will often incorporate a bonus life system that allows the player to make a mistake or two without completely losing a life. Aku-Aku is that bonus life system, and by picking him up in a level, Crash is able to get hit without completely dying and having to restart the level. Older platformer games often made this bonus health item just an item, but Crash Bandicoot goes one step further by making that item into a character who exists in the world of the narrative. This is an interesting concept that the sequels explore quite a bit further, and although he isn’t given much character development in this game, he is still a fun member of the cast. Tawna Bandicoot is a damsel in distress; apart from her blonde hair and buxom physique, there’s not much to be said about her. In fact, she was so clearly forgettable that she doesn’t appear in the two Naughty Dog sequels, and is instead replaced with the much more interesting Coco Bandicoot, Crash’s sister. Where this game really shines when it comes to characters, however, is with Dr. Neo Cortex. With his bloodshot eyes, awful posture, and giant metal N welded to his forehead, Cortex immediately stands out as a great platformer villain. Though his goals are basically just “do evil stuff,” what makes him interesting and funny is the melancholy, almost depressed way he goes about his evil plans. 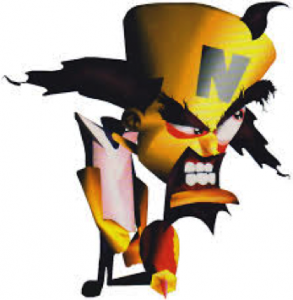 Voiced by acclaimed voice actor Clancy Brown, Dr. Neo Cortex is the kind of guy who seems to be committing evil acts out of some weird obligation to the trope he represents. It’s almost as if he looked in the mirror, saw what was going on physically, and just resigned himself to the role of mad scientist. He’s driven, sure, but throughout the game he seems painfully aware of how stupid his whole shtick is. N. Cortex seen here, regretting not only his sad and tortured existence, but also his awareness of how much of a devastating bummer he must be at parties. Being a platformer, the game has a whole host of other bosses and mini-villains, but most of them go the way of Tawna Bandicoot for me: without looking up the names or designs, I struggled to come up with the other baddies in this game. With the possible exception of Ripper Roo, the crazed, straitjacket-wearing kangaroo character, all the other bosses just end up blending together. I give a pass on the story being barebones due to the reasons I stated above, but good platformers make up their simplicity with fun and interesting bosses. Tiny Tiger’s cool, I guess, but my enthusiasm for characters other than Crash and Cortex are as limited as the PlayStation’s rendering capability. Oh, Crash, you had all the makings of a good platformer. You had a basic story, you had an interesting main character and a great bad guy, but dear lord do you fall down in the gameplay department. I understand that 3-D platformers were new at this point and developers were mostly going in blind, but man is that no excuse for how boring the levels in this game are. I will say that compared to other pioneering 3-D platformers like Bubsy 3-D, Crash excels in the sense of not being a broken game. 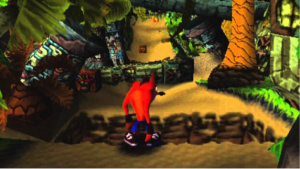 However, the level designs rarely, if ever, make use of the 3-D environment, and often become two-dimensional hallways with a 3-D bandicoot spinning his way through them. The only thing that really keeps you going through the levels is a bland, pseudo-collect-a-thon that has you destroying boxes for no reason other than to destroy them. Whereas other bland platformers at least offer the promise of interesting and fun bosses to fight at the end of a set of levels, Crash’s rogues gallery is comprised of samey bad guys who are all beaten by either spin move or jump.  Intriguing and fun this game ain’t. Get ready for a lot of this. The music and environments also suffer from the blandness that plagues this whole game. All the music blends together, and while some of the later evil lab stages create an interesting atmosphere, the level design is nothing more than hopping on different slabs of wood or metal, avoiding the occasional spiky protuberance, and running into the same enemy over and over again. I can easily remember specific levels and enemies from the following two Crash games, but the only thing I remember from the first one is how bored I was through every moment of it. There’s no real Crash Bandicoot theme to speak of, and apart from “tropical island,” not much can be said about this game’s location. In summary, the gameplay is serviceable, and the feel of the game’s world is completely bland and forgettable. Despite a boring first release, Crash Bandicoot became a smashing success and one of the major reasons to buy a PlayStation. Nintendo had Mario, Sega had Sonic, and now Sony had Crash Bandicoot. And while the game itself wasn’t that interesting, it garnered a huge fan base—primarily, I think, thanks to the character of Crash himself. Sony launched a huge marketing campaign around the lovable idiot, resulting in his global recognition as a platformer contender. The game spawned two direct sequels, Crash Bandicoot 2: Cortex Strikes Back, and Crash Bandicoot 3: WARPED, both of which I consider to be far more interesting and much more fun to play than the original. 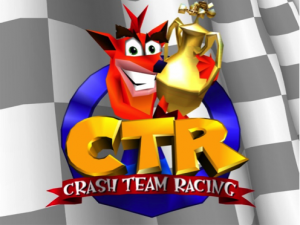 There was also an incredibly successful Mario-Kart-style racing game aptly named Crash Team Racing, along with a number of party games that showcased Crash and friends playing mini-games against one another. Even Crash seems more pleased with this title. After Naughty Dog developed the three original Crash Bandicoot games, they went on to develop the Jak and Daxter series, as well as the critically acclaimed mega-blockbuster game franchise Uncharted and every-award-ever-winner The Last of Us. Were it not for the little orange bandicoot, we may not have seen Naughty Dog blossom into the powerhouse that it is today. 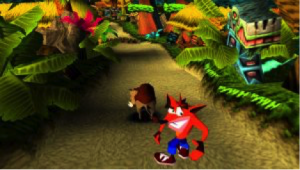 There were a number of later Crash titles released after Naughty Dog released the series’ reins, but none of them really had the same impact that the first three seemed to bring to the table. 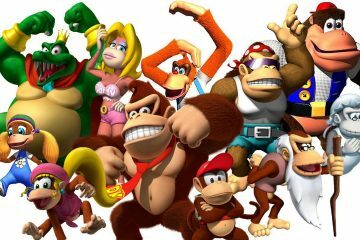 Sony had moved on to other characters as mascots, and Crash and company fell to the wayside as one broken game after another was released on the PlayStation 2 and Gamecube systems. Only recently with the release of the N. Sane Trilogy has Crash been back in the video game discussion, and based on the success of that collection there is a fair chance we will see more from him in the near future. It seems pretty unlikely that Naughty Dog will take time away from The Last of Us 2 to return to the Crash, but who knows? Crash is clearly here to stay for a little while longer, and perhaps his surge in popularity is enough to steal Naughty Dog’s focus away from gruff, tragic adventures for a spell. Shine on, you crazy marsupial. In Now Loading, I don’t want to dwell too much on a game’s spinoffs or sequels when considering its candidacy for the canon. I prefer to remain focused on the game itself and judge it solely on its own merits; however, when it comes to the Bonus Level section, I feel it’s fair to bring anything up. Having said that, the Naughty-Dog-developed Crash Bandicoot sequels are incredibly fun to play, and they really engage the player where the first game failed. There are more collectibles, time trials, a much greater variation when it comes to level design and Crash’s abilities, and the villains are far more interesting and fun to square off against. I particularly look to Crash Bandicoot 3: WARPED as a game with a great cast of characters—I still have moments from the game seared into my brain from when I played it as a kid. The first game fails for me when it comes to a visually interesting environment and catchy music, but the sequels pick up the ball where that first one so foolishly dropped it. For all my criticism of this game, it was a surprisingly tough decision for me on whether or not to allow it into the Video Game Canon. On the one hand, this game spawned one of the all-time great console mascot characters, whose popularity helped the PlayStation become a powerhouse in console gaming. 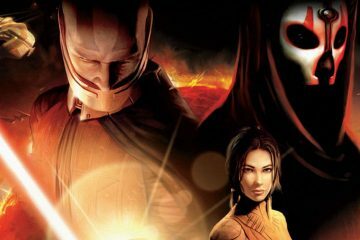 This first game had an enormous impact on the video game market, and its developer went on to make some of the greatest games of all time. And yet, on the other hand, the game itself is so mind-bogglingly bland. It introduced a main character who was fun and memorable, but that was just about it. And while the sequels were vast improvements, we are not reaching a verdict about them. Solely on its own merits, Crash Bandicoot the First does not live up to the standards of the Canon, and I’m afraid must be left to the ravages of time. Sorry, old boy, but this is one box you’ll always miss. “Yet, taught by time, my heart has learned to glow for other’s good, and melt at other’s ‘WOAH!’” -Crash. Crash said this.